As a small business person, entrepreneur, or inventor how much US patent law do you need to know? Different people will of course give different answers to this but here is my cut at it. With respect to patent litigation, which happens in court, you only need to understand a few fundamentals. But if you do get into a litigation scenario you are going to have to find a good litigation attorney and follow his/her lead. With respect to the process to get a patent in the US Patent Officethough I would argue that you need to have a more comprehensive understanding. I say this because you will have an ongoing need to make decisions about whether or not to file patent, where and how to file them, and how much international filing you need to do. These decisions can be quite expensive and in fact for many companies are the primary intellectual property costs - ie, not everyone ends up in court. To make those decisions you need a good understanding not only of US patent law of all of the different filing strategies that are now available. These include various combinations of U.S. provisional, non-provisional, PCT's, etc. In addition a working knowledge of the US Patent Office practice of continuations, continuations-in-part, and divisional patent applications can sometimes help. You will still rely on your patent prosecutor (patent agent or patent attorney) to handle the actual details of all of these but you can make a lot of routine patent strategy decisions in your normal business practice without consulting (and paying) your prosecutor. We will talk in these pages about which decisions you should ask for help on! Another general area of concern in US patent law that I encounter in my practice is "Can we talk to our vendor/partner/consultant about our invention without filing a patent first". We will talk about those kind of questions also. There are some legal considerations there. There are a few fundamentals you might want to review about patents. You may not know where and when patents came into the United States. Here is a brief explanation of that. What right does a patent give you? Here is a story that illustrates the patent right. In my patent consulting I run into many questions about patents that result from misunderstandings about how patent law works. These are very understandable misunderstandings. A frequent question I get from some new clients is "How do I get a patent pending? This is another of those frequently misunderstood concepts in patent law. To get a patent the claims must be novel. But what is novelty? Novelty is described in the part of patent law called 35 USC 102. Under our discussion on 35 USC 102 (Novelty) we discussed the submarine patent or prior art. But what about a provisional as a submarine? 35 USC 103 - the obviousness section of the patent codes is often a little baffling to outside observers, and sometimes to insiders. But we need to spend a little time dealing with it because you will find that it is often a major issue as you pursue the steps for getting a patent. Isn't everything obvious to a good engineer or scientist? Maybe. We will dive a little deeper. Again as a non professionally practicing patent person you do not have to have a deep understanding of these questions. But if you are going to protect your ideas with patents you need to know more than just a dictionary definition. Inventive step is the term most commonly used in the European Patent Office for what the U.S. calls non-obviousness. Are they the same? You have probably heard about it. What does it mean? Reviewing two years of Federal Circuit decisions since KSR it appears that there has been very little effect. An important issue in patent law and one that is controversial as software and business method patents have grown in importance is the question of what material is considered patentable. A recent court decision (October 2008) weighed in on that issue. If you look at the cover sheet of a patent you will notice that many of them have inventors listed and also an assignee. So what does patent assignment mean? Genus-and-Species. When dealing with anticipation in patent law one of the more difficult concepts to deal with is when genus can anticipate species. The patent specification is the body of the patent that includes all of the background, summary, detailed description of your invention and the claims. What you may not know about is the peculiar set of rules that define what should and should not be in the specification. The requirements for the written description in a patent are derived from a rather short phrase in the first sentence 35 USC § 112 and a lot of case law that followed. Here is a brief discussion of that. The patent enablement requirement refers to the requirement of 35 USC § 112, first paragraph, that the specification describe how to make and how to use the invention.You can get a better understanding of that here. One of the underlying premises of patent law is that the inventor is trying to obtain the right to exclude others from practicing the claimed invention. The government will grant that limited term right but in exchange the inventor must fulfill certain requirements. In this particular requirement the inventor is required to disclose his/her best mode for performing the invention at the time the application was filed. 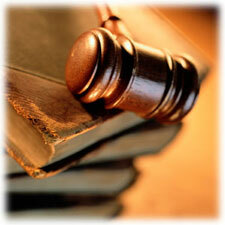 The patent claim is where the invention is legally defined. The guidelines for the patent claim is spelled out in US codes and US federal regulations in the last five paragraphs of 35 USC § 112 and in paragraph 1.75 of 37 CFR (Code of Federal Regulations). The second paragraph of 35 USC 112 focuses on things like the clarity of the claim language. Read more about that here. Do you know how to read a patent?. What do all of those things mean on the patent cover sheet. The most effective way to read the patent specification. How do you read patent drawings? How do you read and interpret patent claims? The unauthorized making, using, offering for sale or selling any patented invention within the U.S., or importing into the U.S. of any patented invention during the term of the patent. A Freedom to Operate Primer. Related to infringement you sometimes need to do a cursory freedom to operate analysis. Here is a short primer on that. When is a patent application published by the US Patent Office - and what does that mean?